In August 2012, dance artist Jessica Chen of J CHEN PROJECT and Kevin Mills, her boyfriend, drove away from a friend's California wedding, heading for the reception, when a stretch limo sped into their path. As Mills avoided a crash, his evasive action flipped their open convertible three times. Chen suffered extensive wounds and fractures. Airlifted to a hospital, the dancer underwent eight hours of surgery and, for two weeks, was kept in a medically-induced coma. She recovered far sooner than expected with her doctors crediting her dance background for this rapid healing. "They had no other explanation," she says. "And for me, being able to express myself creatively through this experience has really helped me fully heal, both physically and emotionally." Preparing an ensemble work for this fall season--Never was Broken: a dance through life and death and life--the resilient, determined Chen now reflects on this trauma, its aftermath and the renewed focus of her work. Yaa Asantewaa: The car accident in which you were severely injured–and which inspired your new dance piece--happened just a little over a year ago. How has your life changed since you made your remarkable recovery? Chen: Anyone looking at my life from the outside, would say it all looks the same. I live in New York. I run my own dance company. I’m working, rehearsing and preparing for a new production. But for me personally, there has been a major shift. My priorities are very clear about what is important. In the past, it may have been hard for me to let go of the small things or find humor in a time of despair or be brave enough to face the truth. During my recovery, I had a lot of time to reflect on my life and the decisions I’ve made thus far. I asked myself to answer honestly if this path I’ve chosen, in the arts, was the right path for me. Sometimes in life we make decisions to prove to ourselves we can do something or we make the wrong decision but have too much face to admit it. So, I was prepared to let dance go if my answer was either of those. But my answer became a realization of the importance the role of dance has played for me in my life. Whenever anything significant ever happened to me, I created a dance. It gives me an avenue to express myself and share my story. Yaa Asantewaa: If anyone thought you would not dance again, you proved them wrong several months after that accident and your surgeries. Talk a little about the evolution of your dancing, post-recovery, and to what extent do you intend to continue to dance and make work for yourself or that includes yourself. Do you appear in Never Was Broken? Throughout my recovery I had amazing medical care. From my initial surgeries all the way through rehab, I had professionals who really invested in me. My physical therapist in California is one I need to thank for pushing me. He is flying to New York City for the September show. Yes, I am dancing in Never was Broken. I am performing a duet I choreographed in 2009 and a new solo my dear friend is choreographing on me. I have taken myself out of ensemble pieces, because it just too hard to see where the piece needs to go when you’re in it. But I said very early on that I am not ready to retire from dance. So, I imagine as my company grows I will be commissioning other artists to set work on my company that I would dance in. I will also continue to make solos and duets for myself. It was scary when I started dancing again, just like when I had to take my first steps without crutches and without my boot. The thought of moving past your comfort zone is always very scary, but when you do, you welcome new opportunities. So sometimes when you have that scary feeling, it’s safe to say you are really pushing yourself to grow. Yaa Asantewaa: Has anything changed in the process of how you make work, or your style or aesthetics? Chen: I didn’t start creating Never was Broken in the studio or in rehearsal. It all started from a dream, a vision in my head. At that point, I was still learning how to walk properly, so I was not able to dance yet. I would imagine the dances in my head and write down my thoughts. I also learned how to paint, so I would use painting to get my creative juices flowing. So when I got to the studio for the first time I had a very clear idea of what I was looking for. In February 2013, we had our first workshop for Never was Broken. I worked with my dancers intensely for ten days to get all the ideas and thoughts out of my head and into their bodies. I was dancing more then but still limited, so I had them improvise a lot. I would set a structure, intention, direction for the improv and let my dancers do their magic. I filmed them and watched the footage. The idea of the workshop was not to create a product; it was simply to brainstorm and explore the ideas I had. 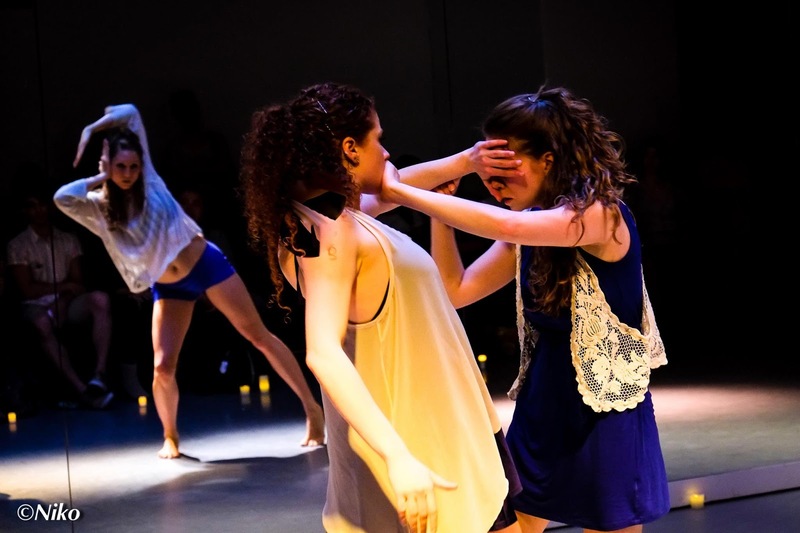 In May 2013, Broadway Dance Center generously sponsored a work-in-progress showing of Never was Broken. It was their way of welcoming me back to New York City and back to my artistic path. So when I started rehearsals with my dancers for that showing, we had less than a month to create a something to share with our audience. I told my dancers it was going to be a true work-in-progress, and so we should not stress too much about getting it perfect. It was a test run with our closest colleagues, friends and family. It was a beautiful evening, and that night I performed for the first time since the accident. In general, I am much more specific when it comes to my work. I am interested in the small things that make a huge difference. If I paste a piece together and it’s not feeling right, I’m not afraid to take it apart and try again. That is what rehearsal is for. I’m not so set on getting it right the first time or even being brilliant all the time. I am also creating work that is truly meaningful to me. Yes, I care what the audience thinks, but I won’t let that dictate what I create. I trust myself more. And I believe if I create something that is truly meaningful to me, then it will be that powerful to others (and maybe not everyone, but that’s okay, too). It will be a work that I am proud to call my own. Yaa Asantewaa: I was fascinated by the gentle sensuousness, literally the touch-oriented nature of your style–even in just the way your dancers warm up for rehearsing. What is the significance of interrelationship, touch and eye contact in your work? Chen: For me, when I’m creating a piece and/or preparing for the show, I am looking at the piece itself as well as making sure my dancers are connected with each other. I believe that a performance is more powerful when there is a connection on stage. They are comfortable with each other, so when they do a lift or look at each other there is a level of intimacy. That relationship will get translated to the audience, and they will feel that connection as well. The warm-up you walked into is how we start rehearsals. One dancer lays down and releases their muscles while their partner moves them across the floor. They have to trust their partner and their partner has to pay complete attention to them. Especially when we have an early rehearsal, it gives dancers a chance to really settle into the space and into each other. Also, it grounds them and gently wakes up their muscles. Yaa Asantewaa: You’ve got a great ear for music. What elements draw you to particular pieces of music? Chen: Thank you. That is a true compliment, because music is so important to me. I typically scour iTunes to search for music that is emotional and strong, but does not overpower the dance. I’ve also worked with several musicians, and I imagine I will do more of that in the future. When I’m creating a show, I put together a soundtrack of music that I use during the creative process. I play this sound track as we are building the material. A lot of times it will inspire the movement and the arc of the piece. Once there’s an outline of the work, I look to find the music to match it. And sometimes, a lot of times, the music I end up using was not part of the original playlist. Yaa Asantewaa: Your bio indicates that you are quite a world-traveler. How has that influenced your tastes and inclinations in the arts? Chen: When I was nineteen, I sailed around the world through a program called Semester at Sea (SAS). We sailed from Vancouver due west and visited Japan, China, Hong Kong, Vietnam, Thailand, India, Tanzania, South Africa, Brazil, Venezuela and completed our voyage in Fort Lauderdale, where my dad flew to pick me up. Being on the voyage gave me the courage to go after my dreams. On SAS, I learned that there was no time to waste, and you will never regret a decision that shifted your perspective. So when I graduated from college, I took a leap of faith and moved to NYC to pursue a career as a professional dancer and choreographer. There’s so much of this world to see and learn from. And I want to use my art as a vehicle to explore and share different cultures, aesthetics and perspectives. Yaa Asantewaa: I have seen rehearsals of two sections that your dancers are preparing for the premiere–one that looks like a spinoff of the See No Evil, etc. monkeys and another that seems to be an outgrowth of prayer, meditation and yoga practice. Both are gorgeous. From where did these particular ideas derive and how do they fit into the larger context of the piece? Chen: This show is inspired by life, miracles and reflections. My life completely changed after the accident, only because my perspective shifted. The evening is titled Never was Broken because the idea of “being broken” is only one way of looking at a situation or a person. I also understand that this shift can be very challenging for everyone, but I don’t believe people need a near-fatal accident to experience that shift. It is a choice--or, actually, a constant choice. Even for me now, it’s not like all moments are full of enlightenment. I have to continue to make this choice to see the bigger picture. It’s not always easy, that is for sure, but we’re all doing our best, and that’s all anyone can expect. I want to take people on a journey, to see life from a different point of view. The show will ignite emotions that have been hibernating, giving permission for people to be honest, even brutally honest, to themselves, remember that life should not be taken too seriously and that humor can be part of the healing process. Let Us Pray: My friends and family spent seventeen days in the waiting room of the ICU at Cottage Hospital. They have shared moving narratives with me of witnessing other families entering the same waiting room with similar stories of sudden and unexpected events pushing their loved ones to the brink of life and death. Everyone cried together. Everyone prayed together. Everyone knew how to pray, not through religious impulse or training; in fact, several of the people even claimed to be agnostic. They all prayed because it gave them faith and hope; faith and hope that their loved one would make it through this situation where no one had any control. I believe this discussion about redefining prayer, so that it is accessible to all, irrespective of religion, spirituality or belief systems, is a burning issue for the times we are living in. It is important for us to find more ways to connect with each other and everyone needs faith. We are human after all, and that means there are many things out of our control, and sending a positive message out to the universe in hopes it gets answered is what our ancestors have used to reach beyond their limitations. The creative process for this piece naturally involved taking the dancers on their own journey to finding their own way to pray. (2) What is a prayer? (3) What does it look like to pray? (4) What does it feel like when you pray? (5) What do you pray for? NO (evil): Yes, this is a spin off of the See No Evil, etc. monkeys. I think in the Western society, we can understand that saying as turning a blind eye to what is seemingly evil. But in different interpretations, each of the monkeys has a special gift. The See No Evil monkey has a special eye. That is his gift and the way he can contribute to the world. He sees no evil, because he sees potential or possibility or a lesson to be learned. It is also a gift to give someone else the gift of sight, meaning another way of looking at a situation, another way of hearing the message and another way of expressing yourself. Yaa Asantewaa: Your dancers suit your style very well. How did you assemble this troupe, and how long have you been working together? Chen: There are seven dancers in this cast. Three of them have danced for me since June 2011, one since last August (who I hired just days before the accident, but stayed devoted to the company even without a director), and three are new from our June 2013 audition. The dancers go through a pretty hard audition process. They learn phrase work, improvise and fill out a questionnaire. During call backs, they partner with other auditioners, because I want to see how they work with others. I invite a small group of people from call backs to open rehearsals to take them even further into my process. And after a week of open rehearsals I meet with them individually to tell them if I can give them a contract--or not. The last step is the hardest one for me, because I usually get attached to the dancers, and I want to hire everyone. If you’ve made it to open rehearsals, you are automatically part of the J CHEN family, but due to budget constraints, I can’t hire everyone. When I look for a dancer, I am looking for many things. I am very clear about those qualities when I walk into an audition. They must have a high level of technique. They also have to be professional, dependable and with a stable background. We are a “no drama” company, and I will not tolerate any of that. I also look to see if they have an individual voice as well as an open mind. I ask a lot from my dancers, we work very hard in rehearsals and, often, they inspired me. They are all individual, but we all get along and have fun together, too. We’re constantly going out to happy hours and celebrating birthdays together. I always like to say, J CHEN PROJECT is a dance company as well as a community of artists. Chen: Upon hearing the news, we immediately reached out to leaders, mentors, colleagues and friends of the dance community for advice and assistance in finding an alternative venue. And during our time of duress, we received an immense amount of love and support to help us find different options and a possible new home for our show. On Thursday, August 29, less than three weeks to our premiere, J CHEN PROJECT company members showed up for rehearsal, discussed the situation and decided that we would continue to rehearse towards our premiere. We hung in there because we knew our hard work would pay off, and we had faith everything would work itself out. As a company, we officially took on the mantra, The Show Must Go On. Throughout this process, DNA managed to raise their goal of $50K, which was a huge thing for them. The next step will be on Tuesday, when DNA will appear in front bankruptcy court to present a viable long-term business plan to reorganize and emerge from bankruptcy. It is my understanding that if the court accepts their plan, then DNA will remain open until the end of the year. We are waiting to get updates from DNA as well as pursuing other venues with the help of many in the dance community. We have several options on the table right now, and the dancers are taking the news like champions. So we are pushing on multiple fronts to ensure that Never was Broken goes up as planned on September 20 and 21. * The Show Must Go On! Yaa Asantewaa: What is one unexpected thing that people should know about you? Chen: My boyfriend built a special stuffed animal just for me seven years ago. I never had one growing up, and he felt that everyone needed to have a stuffed animal. It has been with me through a lot and has become a very close friend. I had him with me in the hospital and now, when I travel, I carry him in my bag. He gives me security and warmth. Also, when I’m feeling angry and riled up, he will soften me up and give me room to breathe through whatever I’m going through. Yaa Asantewaa: What is the absolutely most important thing that people should know about you? Chen: I am a fighter, and I am a rebel. And just to illustrate that, after being in a coma for almost two weeks, I beckoned my boyfriend to come close to me. He was expecting a romantic statement or an embrace. Instead I whispered in his ear, “Get me the hell out of here!” Over the few days after that, I proceeded to try to escape from the hospital. I don’t remember any of this, so I had to ask my friends and family to share stories. I told my visitors that I was on lockdown, but I didn’t understand why because I only tried to break out once. I kept telling people that I had places to be and things to do, so I couldn’t be lying around all day. They ended up strapping me down on the bed and activating an alarm on my bed. That experience taught me how to stay still, but it also revealed how much I like to break the rules. *For the latest information on J CHEN PROJECT's Fall season, planned for September 20-21, see the company's Web site. Dance New Amsterdam updates can be found here. 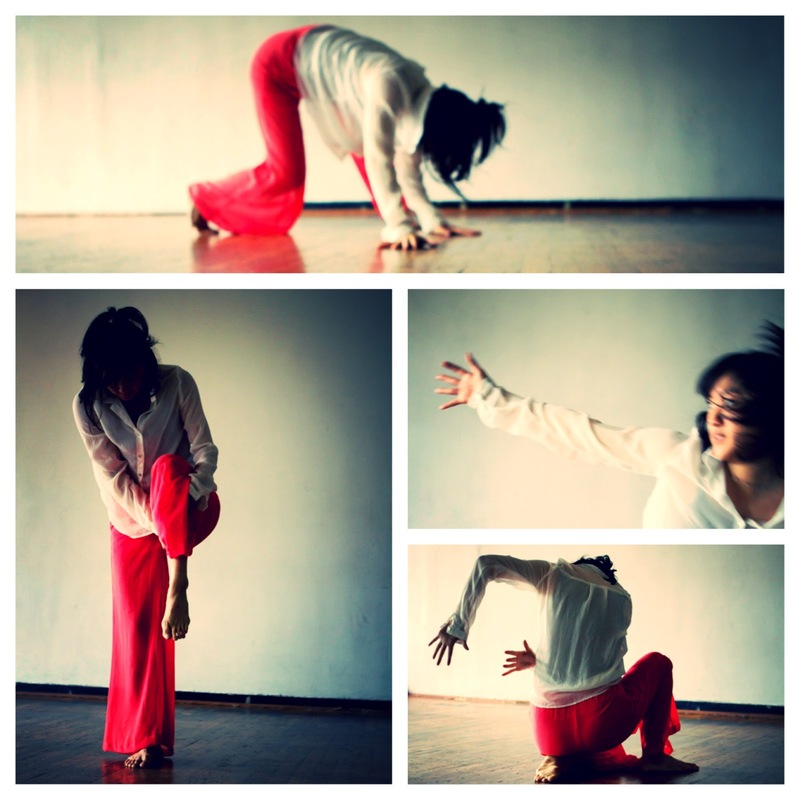 Jessica Chen is the Founder and Artistic Director of J CHEN PROJECT. Her work has been commissioned worldwide, including the 2010 World Expo in Shanghai. Chen has been featured on SinoVision TV as well as numerous publications including World Journal, The Gazette, Wiles Magazine, Clinton Chronicle and Nosotoros. She was honored as Keynote Speaker at Cornell University for her work in empowering Asian American women to become leaders in their community in 2011. Her work has been selected to appear in various festivals including 2012 Women in Dance Series, Yangtze Repertory Theatre, 6th Annual Asian-American Cultural Festival in Long Island, 2011 Women’s Hall of Fame Event in San Diego, 2010 Amnesty International Arts Festival in Washington D.C., and its full-length productions at venues including Dixon Place have consistently yielded sold-out performances. Chen will premiere her new work, Never Was Broken: a dance through life and death and life, at Dance New Amsterdam (NYC) as well as Center Stage Theater (CA) this fall. Chen grew up in California with an evolving curiosity of different cultures all over the world, given her own Chinese-American heritage. She has traveled to nearly thirty countries across Asia, Europe, the America’s and Africa teaching, performing and speaking as well as learning and exploring local dances and traditions. She holds a B.A. in Global Studies from the University of California Santa Barbara and was granted the University Service Award through a nomination from the Vice Chancellor. J CHEN PROJECT strives to be an artistic force by crossing boundaries and connecting with people around the world through expressive and emotional dance works. The company is fully dedicated to fostering dialogue and bringing social consciousness to issues facing humanity today. Believing in the power of words, sound and imagery, the company engages in dynamic collaborations with poets, recording artists, fashion designers, photographers and filmmakers.